The following are common issues with Amazon Creator apps. 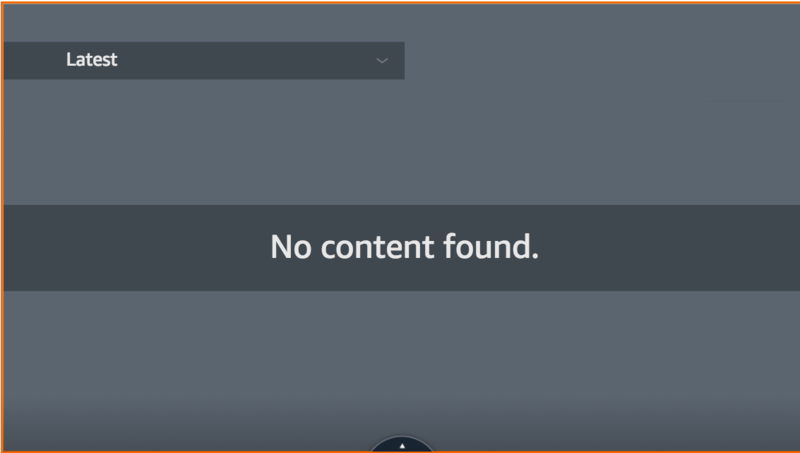 When previewing your app, you get an error that says, "No Content Found." Edit your channel homepage and add sections that contain videos or playlists. Alternatively, hide the "Latest" item from the app's category navigation bar. See Populate Your Channel Homepage with Video Content for details. 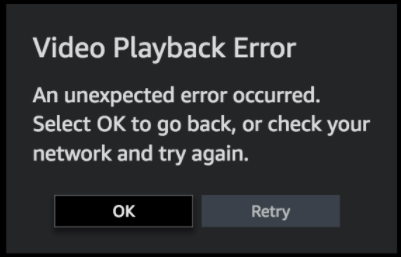 You get an error that says, "Video Playback Error. An unexpected error occurred. Select OK to go back, or check your network and try again." This errors occurs if you restrict embedding with your YouTube videos. See Restrict embedding for details on how to manage the embedding options for your videos. The default logo created by Amazon Creator looks distorted. Amazon Creator allows you to upload a new logo when you edit your app. Click Manage Apps in the upper-right corner, then click the Edit button next to your app. In the Logo section of the sidebar, click Choose a file. Amazon Creator maintains the aspect ratio of the image you upload. If the image is distorted, make sure the image you upload is 500 x 500px. See Image Assets Required for more details. Ask a question in the Amazon Developer Forums. Use the Fire TV and Fire TV Stick space and the Amazon Creator topic. Contact support personally through the Developer Portal's Contact Us form. If you're having issues with YouTube or your online video host, seek information from within those sites instead of Amazon.